Fredriksdal Museum & Garden in Helsingborg, here you find the very old Skåne country life with its green fields, farmhouses, animals and fruit orchards, right in the middle of Helsingborg. This is a very special place where you can enjoy, rest a while from the noise of the city and learn about the history of farming in Skåne. 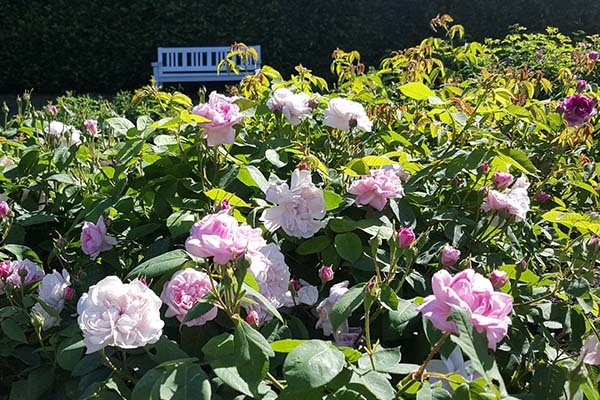 Also, a lovely Rosarium, a botanical garden, a landscape garden, café and shops with old-fashioned goods and one of the largest rose nurseries in northern Europe. Opening hours, daily from April – September, entrance fee.